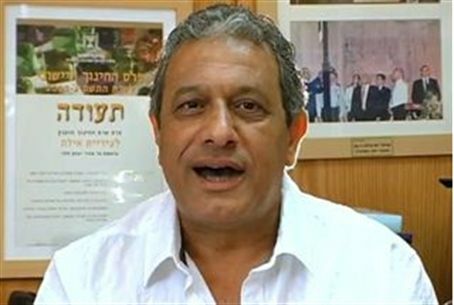 Eilat Mayor Meir Yitzhak Halevi speaks to Arutz Sheva following an incident in which infiltrators from Africa entered his city. Leaders and residents of the southern Israeli city of Eilat expressed their anger on Thursday, following an incident early Wednesday morning in which dozens of Sudanese and Eritrean infiltrators entered the city and began knocking on doors, seeking food and water. Eilat Mayor Meir Yitzhak Halevi, who had sent an urgent letter to Defense Minister Ehud Barak following the incident, reiterated his demand on Thursday that immediate solution must be found to the phenomenon of infiltrators. During Wednesday morning’s incident, Eilat residents reported, some of the infiltrators were actually staggering in their yards. Those who did not quite reach the city were found near the Eilat-Ashkelon pipeline installation. The infiltrators were picked up by IDF soldiers later in the morning. Halevi said that the incident is a severe blow to the future of the city of Eilat, which is a hotspot for tourists from all over the world. The incident in Eilat occurred after it was reported that the rate of infiltration into Israel from Sinai has dipped by 50% in the past year.